Comfort and convenience are yours with this updated 1,688-square-foot residence! 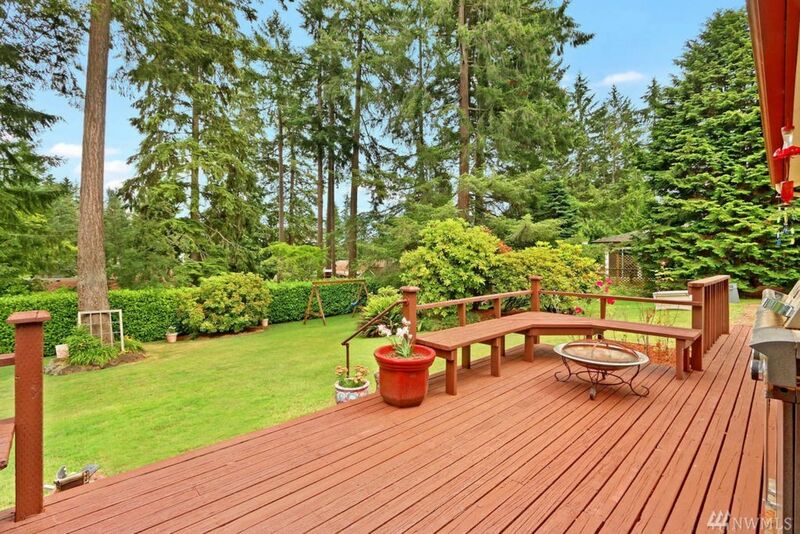 Featuring 3 bedrooms and 1.75 baths, this home also boasts large living spaces and even a huge storybook backyard with an expansive deck overlooking it all! 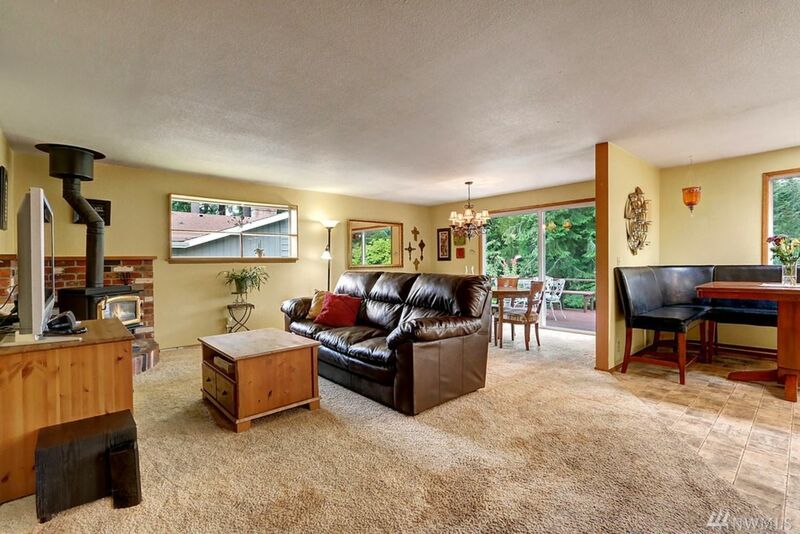 Located at 10819 Glenwood Dr SW Lakewood, WA 98498 in the established Glenwood Acres neighborhood and close to outdoor opportunities and city conveniences, this home sweet home is listed for $335,000. Built in 1959, this home shows off classic charm while updates (like a new furnace and new carpet) ensure it’s ready for the future. Returning home is a joy time and time again, and this picturesque residence is beautifully framed by mature greenery. When you step in through the front door, this home’s bright, open floor plan welcomes you in, and the formal living room is bursting with opportunity. 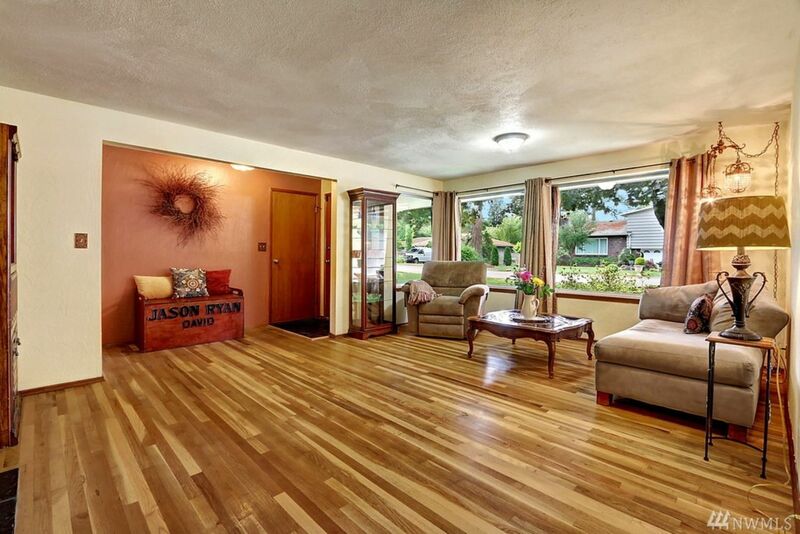 Sunlight pours in through picture windows, helping to show off the gorgeous hardwood floors. The traditional stone-accented fireplace serves as the room’s focal point, and whether you choose to keep things more casual and classic or you decide to spruce up this space with chic sophistication, this versatile haven is ready for your personal touch! Just around the corner, this home’s great room opens up, promising to become the center of daily life. The cozy family room features a free-standing gas stove, and with plush carpets and a warm color palette, this retreat was made for relaxing days spent snuggled up on the couch! The dining room is ready to accomodate large gatherings, but smaller laid-back meals any day of the week are right at home here, too. 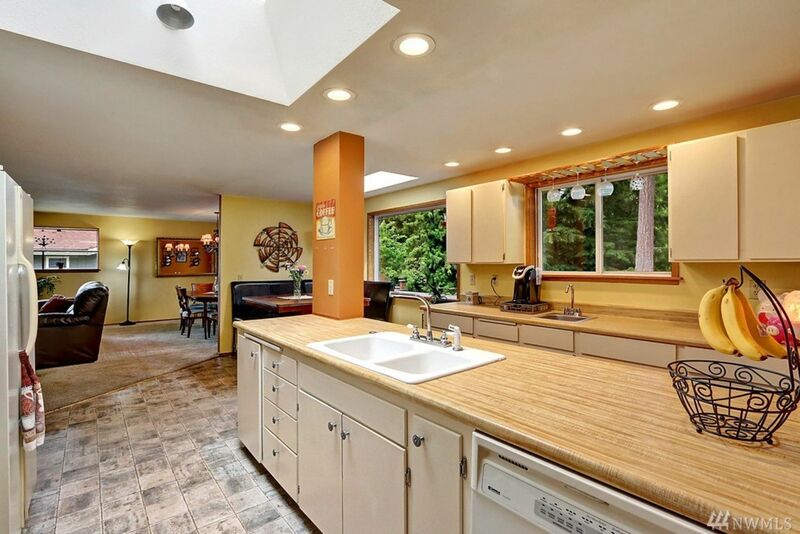 The huge kitchen is conveniently just steps away, and here you’ll find even more seating in the dining nook. Entertainer’s will thrive in this dynamic space, and generous cabinetry and counter space promise ample room for whipping up holiday feasts or meal prepping for the week. This home’s 3 bedrooms each offer spacious layouts, and loved ones can enjoy having their own private retreat to retire to at the end of each day. Discover even more flexible space in the 2-car garage—perfect for keeping tools and toys out of the elements! When the weather starts to warm up and the sun peeks out from behind the clouds, this home’s backyard oasis shines with potential! Years and years of memories are sure to be made in this idyllic sanctuary, where the sprawling lush lawn is punctuated by mature landscaping. Take in the view from the expansive deck, complete with built-in bench seating and tons of space for outdoor furniture and a barbecue. Paradise awaits in Lakewood! 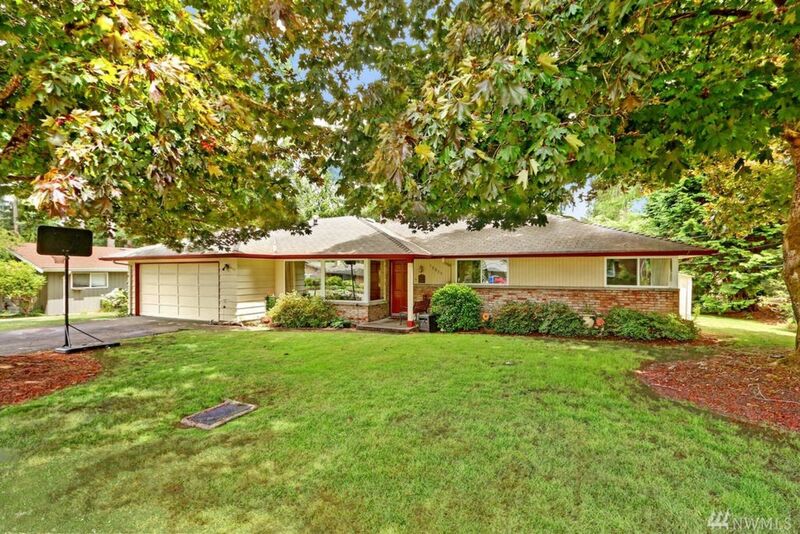 At 10819 Glenwood Dr SW Lakewood, WA 98498, you’re wonderfully close to schools, shopping, restaurants, outdoor opportunities, and anything else you might need! Lakewood’s many scenic lakes are all just minutes from home, making it easy to head out for a day of boating, fishing, or exploring without having to travel far. The Thunderbird Shopping Center is only a 5-minute drive from home, and here you’ll find places like Albertsons, Walgreens, the post office, and several eateries and other services. The Lakewood Towne Center is only 8 minutes from home, and here you can enjoy places like Safeway, Target, the movie theater, PetSmart, Office Depot, Bed Bath & Beyond, and so much more! Interested in learning more? Click here to view the full listing! You can also contact REALTOR® Kristin Niebergall online here or give her a call/text at (253) 381-7170.